What is the turnaround time before I receive my product(s). The turnaround time is 7-10 days. Our products are made to order. The time includes making the product and shipping. Why is my texture/consistency different from my last order? We strive for consistency but please note that our body butters are handmade and natural; therefore, texture/consistency may vary. This does not affect the performance of the product(s). Cold pack shipping is offered to prevent the body butter from melting. 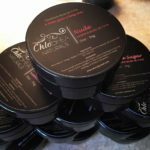 Once the product is delivered to the address that was provided and it is left outside or a hot mailbox for a long period of time, your body butter will melt. If it melts, please let it sit in cool place put in the freezer for about 15 minutes. Due to the nature of all our natural product, we can promise the purity of the products once it has been shipped. For safety & hygiene reasons, our products cannot be resold so we do not accept returns. ALL SALES ARE FINAL. Since your satisfaction is our #1 goal, if you are unhappy with your product(s), please email us @chlosheanaturals@outlook.com. We will be glad to work something out.